Media accreditation for the Unibet EuroHockey Championships 2015 is now open. The tournament will be held at Lee Valley Hockey and Tennis Centre from Friday 21 – Sunday 30 August 2015. Applicants will be notified on 20th May if their application has been successful, unsuccessful or awaiting further information. This is to allow for applicants to take advantage of the accommodation rates before 26th May, detailed in the link below. Applications made after the 20th May will still be eligible, however accommodation rates cannot be guaranteed following 26th May. We are expecting there to be high demand for accreditation, please can you ensure you reference the media outlet or National Hockey Association you will be working for. If you do not have an outlet unfortunately your application cannot be considered. Please follow this link https://eurohockey2015.net/index.php/ for further information about media accommodation during the Unibet EuroHockey Championships in London in August 2015. By using this booking system access to official Championship hotels will be made available to you, and you’ll be staying in the same hotel with fellow EuroHockey Championship attendees. Accredited personnel will also be able to utilise Information Services within each hotel and the official services to transport you to the Unibet EuroHockey Championship venue at the Lee Valley Hockey & Tennis Centre. Access to these designated event hotels is subject to availability at the time of booking. Rates may increase after 26th May 2015, and availability will be more limited. You are advised to secure your accommodation requirements prior to 26th May 2015. Missed out on tickets to the Unibet EuroHockey Championships 2015? Thousands of additional tickets will go on sale to the public at 1pm on Friday 1st May for the Unibet EuroHockey Championships 2015, including the Finals, Semi-Finals and England sessions which had previously sold out. Additional tickets are likely to sell very quickly so we urge you to secure your seats for Finals, Semi-Finals or England sessions as early as you can, to guarantee your seat at the game. 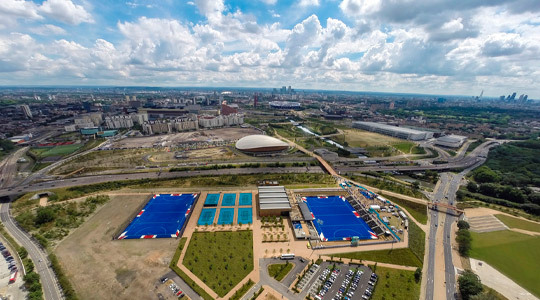 The expansion of the Lee Valley Hockey and Tennis Centre stadium has been necessary to meet demand for this much-anticipated event on Queen Elizabeth Olympic Park, featuring the best teams in Europe, including both England teams who will be aiming for medals. Missed out on Unibet EuroHockey Championships 2015 tickets? Additional tickets are on sale this week…..
Thousands of additional tickets will go on sale this week for the Unibet EuroHockey Championships 2015, including the Finals and previously sold out England sessions. A priority purchase window to reward existing ticket holders will open at 12 noon on 27th April, so they get first access to the Finals and other sold out sessions. All remaining tickets will then go on sale to the public on 1st May. A guide to buying in the priority window is below. 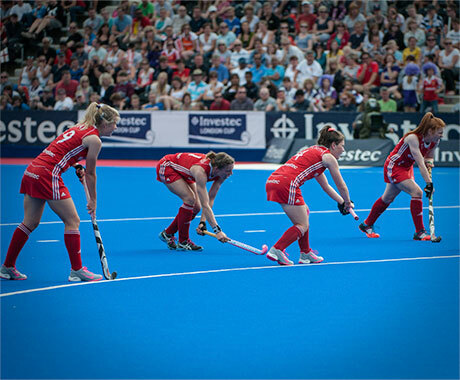 Due to extremely high demand for tickets which saw both Finals and England sessions selling out, the exciting decision was made to expand the seating capacity at the stadium to allow more hockey fans to enjoy the event. The priority window opening on Monday 27 April is available to purchasers of a EuroHockey ticket or a Great Britain ticket from the following matches: Nations Cup (GB v GER) 14 April; GB v JAP 26 April or GB v AUS on 13 June. To qualify for the priority window, purchases need to be made by midnight on 26th April, and to purchase tickets to sold out sessions in the priority window, enter the 8 digit booking reference from your previous purchase. England Hockey and the European Hockey Federation are delighted to announce that online gambling operator Unibet has signed an agreement to become Title Sponsor of the Unibet EuroHockey Championships 2015, which will be staged in London on Queen Elizabeth Olympic Park between 21 and 30 August. Following high demand for tickets, which has resulted in both Finals days and other key sessions selling out, England Hockey and The European Hockey Federation have made the decision to expand Lee Valley Hockey and Tennis Centre’s seating capacity to allow more spectators to enjoy the much-anticipated EuroHockey Championships this August. The decision to add an extra 1800 seats will come as welcome news to hockey fans still looking to relive memories of the London 2012 OIympics, with the return of international hockey to Queen Elizabeth Olympic Park. The seating increase also means European audiences will again be able to purchase Finals tickets which sold out so quickly. From Monday 27 April at 12pm, these additional tickets will firstly be available to existing EuroHockey Championship ticket purchasers and those who have bought tickets to the three other upcoming international hockey events hosted in England in 2015 (GB men v Germany on 14 April, GB women v Japan on 26 April and GB men v Australia on 13 June). This priority window rewards loyal supporters who may have bought tickets for other matches having missed out on the most popular tickets. Any unsold tickets will be released for general sale at 12pm on Friday 1 May. The priority access window means anyone who is looking to enjoy the Finals or other weekends sessions currently sold out will be able to gain access before the general public by purchasing a ticket to any other EuroHockey 2015 session or another England Hockey international event. Those events are the Nations Cup – Great Britain v Germany on 14 April; The Investec Private Bank International – Great Britain v Japan on 26 April; and Great Britain v Australia on 13 June. As of today, all events are now on sale. 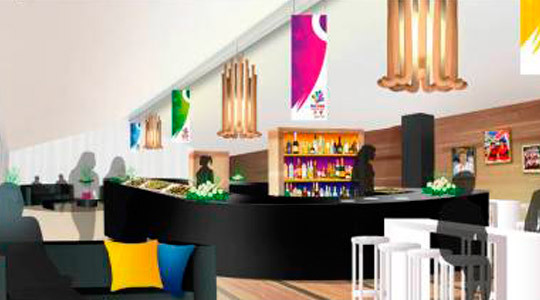 Hospitality is also now available for Eurohockey 2015, with two premium packages recently launched. Details and bookings are on our hospitality page. Why not enjoy inspiring sport, and the emotion of supporting your country, in style? Why not enjoy inspiring sport, and the emotion of supporting your country, in style? The EuroHockey Championships is the world’s biggest hockey event this year and part of a fantastic summer of sport in England – over ten days on Queen Elizabeth Olympic Park in sunny August, the best players in the world will battle it out for the European crowns. Whether you’re entertaining important clients, or enjoying a memorable day out with family and friends, EuroHockey’s premium hospitality packages provide the complete experience. Both our Executive Terrace Suites and Pavilion Hospitality packages offer the best seats in the house, complimentary food and drink and the opportunity to interact with international hockey stars, past and present. Companies will have the opportunity to brand their area or table and enjoy an environment that will enable relationships to flourish – it’s an experience your guests will remember for years to come. Whether you’re arriving from overseas or a regular at our events, we guarantee the warmest welcome, premium surroundings and impeccable service. For your opportunity to be part of this fantastic occasion, book today. Please contact our team at hospitality@eurohockey2015.co.uk, call 01628 897507 or fill out the contact form on the EuroHockey hospitality page and we’ll respond as soon as we can. The Terrace at Lee Valley Hockey and Tennis Centre boasts two private areas overlooking the pitch and each providing the perfect environment to entertain guests in your own exclusive area. Located within the spectator bowl, you will soak in the atmosphere and have the shortest walk to your premium seats. Friendly, welcoming and vibrant, the Pavilion offers an exclusive yet relaxed atmosphere for your guests. Mingle with other sports fans in this shared facility, or if you bring 20 or more guests you can also create your own branded area. TV screens will be in the marquee so you don’t miss a second, but it is only a 2 minute walk into the spectator area where you will enjoy the best seats in the house. Hospitality tickets will be sent in advance of the day, or can be collected on the day by request. Dietary requirements can be catered for and disabled access is available, but please let us know in advance of any requirements. Dress code will be smart-casual. Please contact our team at hospitality@eurohockey2015.co.uk, call 01628 897507 or fill out the contact form on the EuroHockey 2015 hospitality page and we’ll get back to you as soon as we can. Sponsorship opportunities are available, including Title Sponsor – contact sponsorship@eurohockey2015.co.uk or call Jonathan Cockcroft on +44 (0)7921 059386. A TV audience of 105 million tuned into the 230 hours of coverage across the UK, Germany, the Netherlands and beyond. The BBC has committed to broadcasting this year’s tournament and therefore a huge amount of exposure will be available to sponsors. Do you want to be part of the action and get pitch-side for the EuroHockey Championships at Lee Valley Hockey and Tennis Centre in August? EuroHockey is currently recruiting ball patrol groups for the event. Ball Patrol is not only an essential part of a smooth running match, but it’s a great opportunity for young people to experience a demanding but rewarding volunteer role at an exciting and high profile hockey event – the biggest in this country since the Olympic Games. All ball patrollers must be between the ages of 16 and 21 in August 2015. Ball patrol groups can come from a club, school or other organisation. Ball patrollers must be fit and have a good level of knowledge of hockey, and be able to follow play, understand umpires’ decisions and concentrate on a match. Any group which includes Under 18s must also have an adult leader who will be responsible for the pastoral care of the ball patrollers during the selection and training period. England Hockey will appoint Ball Patrol Team Leaders to oversee and manage the ball patrollers at the EuroHockey Championships. If you want to apply, details on how to do that and an application form are below. We are looking for groups of eight ball patrollers. Interested groups will be asked to attend a number of assessment and training sessions in advance of the EuroHockey Championships. These will be held in conjunction with high profile England Hockey events and international training matches. Groups can consist of more than eight ball patrollers for the assessment phase, but each group will be reduced to eight members for their team for the EuroHockey Championships. During the Championships ball patrollers from two groups will make up a ball patrol team of twelve who will be on duty for that session (2 or 3 matches). Each match needs eight ball patrollers. Groups and ball patrollers need to be available for at least fourteen of the eighteen sessions during the event. Selected groups will be appointed to nine sessions. Groups will have the opportunity to practice and be assessed at matches and tournaments at Lee Valley Hockey and Tennis Centre at Queen Elizabeth Olympic Park during April and May including the matches/tournaments below. A briefing pack and presentation will be supplied to support all interested groups to prepare for their assessment. Please note – England Hockey reserves the right to form new groups of eight from those ball patrollers selected following the assessment phase. Successful groups will need to undertake further training which will be done at events in May, June and July. These may be at Lee Valley Hockey and Tennis Centre, Bisham Abbey National Sports Centre or other venues in Greater London. It is anticipated that this will require attendance at three matches. Final details of training days will be confirmed to groups who register their interest. Selected groups will need to supply a short CV for the members of their group. • All travel arrangements and associated costs to attend any assessment and training matches/events. • Providing a suitable uniform for ball patrollers for any practice matches – this may be your club or school kit or a similar colour shirt. • An adult team leader (for groups including U18s) who will take responsibility for the group and will be present at all assessment and training matches, including the EuroHockey Championships. • If selected, travel to Lee Valley Hockey and Tennis Centre for the EuroHockey Championships. England Hockey will provide uniform and food for the EuroHockey Championships. Once registered you will be sent the ball patrol briefing document to support your preparation and training.